BC Dairy Foundation continues the “Must Drink More Milk” campaign with Giant Monster. 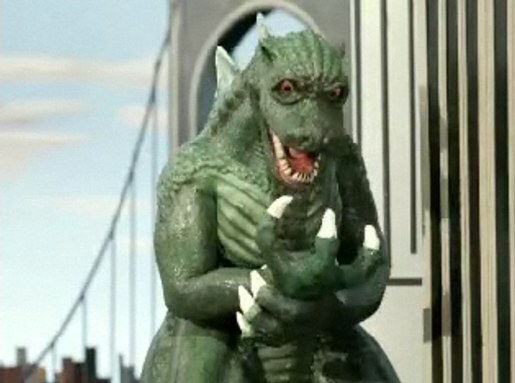 An animated Godzilla-style monster walks into a city to spread mayhem. Unfortunately for the monster, there’s not enough flame to do much damage. When it comes to knocking buildings down, the monster’s run out of grunt. As it walks back into the sea, the monster mutters, “Must Drink More Milk”. The spot finishes with a subtle link to www.mustdrinkmoremilk.com. The Giant Monster ad was developed at DDB Canada, Vancouver, by chief creative officer Alan Russell, creative directors Dean Lee and Cosmo Campbell, copywriter Kevin Rathgeber, art director Dan Strasser, graphic designer Brandon Thomas (Union of One), agency producer Sue Bell, account managers Angela Scardillo, Brett MacFarlane, Lena Dawson, Svetlana Connolly. Animation was directed by Abe Spear via Curious Pictures with executive producer Mary Knox, head of production John Cline, line producer Viet Luu, editor Sam Goetz. Sound was designed at Pirate, Toronto, produced by Tom Eymundson. Telecine was produced at Company 3.